Recently I invited former Prime Minister Tony Blair to sit for a portrait in London. Mr Blair served as Prime Minister of the United Kingdom from 1997 to 2007. The third Prime Minister of my career, it was an exciting prospect to capture his Portrait. Prince Edward, Duke of Kent is a first cousin of Queen Elizabeth II through their fathers, Prince George, Duke of Kent, and King George VI. He has held the title of Duke of Kent for over 76 years. Recently I had photographed The Duke’s brother H.R.H Prince Michael of Kent. Hearing about my work, His Royal Highness commissioned a portrait at St James Palace in London. One of the most challenging sittings of my career, I was recently commissioned to capture a portrait of former Prime Minister David Cameron. Serving as Prime Minister of the United Kingdom from 2010 to 2016. Brexit has been a challenging time in British Politics, resulting in David Cameron’s resignation. A recent portrait commission from The Royal Regiment of Scotland to capture Major General Bob Bruce CBE, DSO. The General posed in his uniform as Colonel of The Royal Regiment of Scotland. My latest Portrait commission from the British Army took place with General Sir Nick Carter, KCB, CBE, DSO, ADC Chief of the General Staff. The General was in need of a portrait to be placed in the gallery of former Chiefs of the General Staff. Field Marshal the Lord Guthrie GCB, LVO, OBE, DL was Chief of the General Staff, the professional head of the British Army, from 1994 to 1997 and Chief of the Defence Staff from 1997 until his retirement in 2001. Actress Natalie Dormer, star of Game of Thrones, The Hunger Games and The Tudors. Sat for a portrait at the London Studio several weeks ago. I wrote to Natalie inviting her to sit for my Expressive Portraits Project just over a year ago; it just goes to show how many letters and requests she receives. Natalie is exceptionally talented with an incredible natural beauty. Recently I was commissioned to capture a portrait of Iain Duncan-Smith MP. Renowned as a veteran soldier, Member of Parliament and Cabinet Minister, Former Leader of the Conservative Party, and Secretary for Work and Pensions, his political career rivals many, and as such earns him a place of historical significance in British Politics. As luck would have it while on assignment in Los Angeles Actor Mark Margolis, and his wife Actress Jacqueline Margolis where staying in the same Studio City hotel. I recognised Mark in the lobby having a sneaky cigarette, and introduced myself, he was very approachable and chatty. Mark has starred in dozens & dozens of films, from 1492 to Hannibal, The Wrestler and of course Scarface. Baron Hague, at for a portrait to be included in my Northerners Exhibition. His name is synonymous with modern political discourse, but to meet him in person, you would not think it. He is a very witty man who was reeling jokes off through the entire sitting. Sir Stuart Peach is a veteran soldier who has amassed a staggering 38 years of service in the Royal Air Force, earning the rank Air Chief Marshal. Even though I’m a professional photographer, I will forever be a historian in my heart. Over the years, I have managed to hone my skills and discovered how to marry my passion with my profession. General Sir Nicholas Houghton is Chief of the Defence Staff of the British Armed Forces. At the beginning of this year, I wrote a letter to Ministry of Defence Head Quarters at Whitehall to invite General Houghton to Sit for a Northerners Photography Exhibition Portrait, the General being from Otley, Yorkshire. I invited Sir Ian to sit for a portrait session while he and Sir Patrick Stewart were performing Waiting for Godot in the Cort Theatre in New York and was flabbergasted when he accepted. Ian McShane is an English Actor, Director, Producer and Voice Artist. From Lovejoy to Deadwood and Pirates of the Caribbean, McShane is a Screen legend. From a lawless saloon owner to the sexiest of beastly British mobsters, award-winning actor Ian McShane has, time and time again, captured the public’s attention by playing bad guys, scoundrels and thieves. Now 72 I wanted to capture a portrait of a more seasoned experienced Warner for my Northerners Portrait Exhibition. To Coax him into sitting, I wrote several letters to David’s various representing agencies both in the UK and USA; alas without a reply. Not giving up I discovered via Social Networking, David was attending at Hammer Horror Convention in London. Portrait of Britain is presented by British Journal of Photography. Photographer Rory Lewis portrait of Captain Anani-Isaac of The Royal Lancers. Captured for Soldiery (British Army Portraits), has been selected to appear in a Nationwide Exhibition. Shortlisted from 8000 entires, 100 Portraits of the exhibition will go live on Friday 1st September 2017. We are pleased to announce that a portrait of British Army Soldier Warrant Officer Class 2 Deborah Penny captured by Rory Lewis Photographer November 2017 in London, has been acquired by the National Portrait Gallery London. 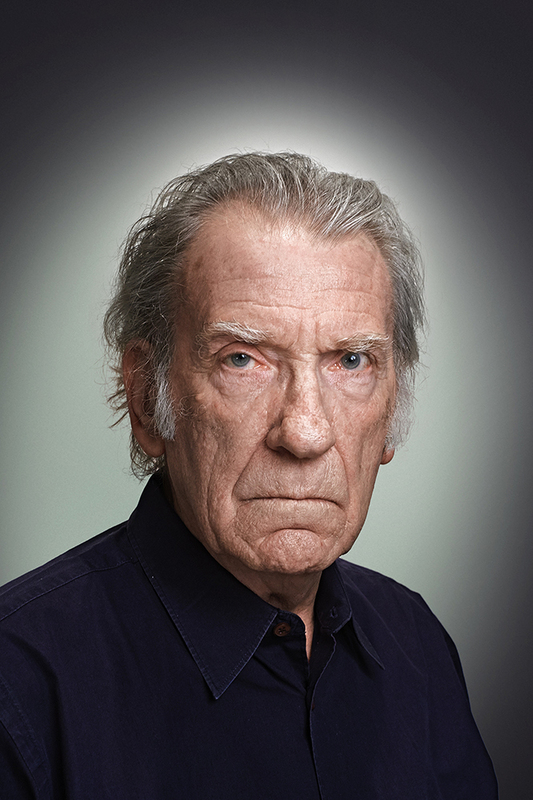 We are pleased to announce that a portrait of Actor David Warner (Titanic, Time Bandits, Omen) taken by Rory Lewis Photographer, has been acquired by the National Portrait Gallery London. The portrait sitting was David’s the first he has attended since Cecil Beaton photographed him in 1966. Click on picture to view the full collection. Thank you to BBC in Pictures Corespondent Phil Coomes, interviewing me about my Portraitist Photography Exhibition. The exhibition opens at Wex Photographic’s Gallery in Whitechapel on 1st August 2019.Please see full transcript below. Thank you to BBC News Defence correspondent Jonathan Beale, who attended the opening of Soldiery British Army Portraits on 31st January 2018 at the National Army Musuem. Taking the time to interview myself and several of the sitters. Please see full transcript below. Thank you to BBC Corespondent Chris Long interviewing me about my Northerners Photography Exhibition. Speaking in particular about my sittings with Sir Patrick Stewart, Sir Ian McKellen, full transcript below. 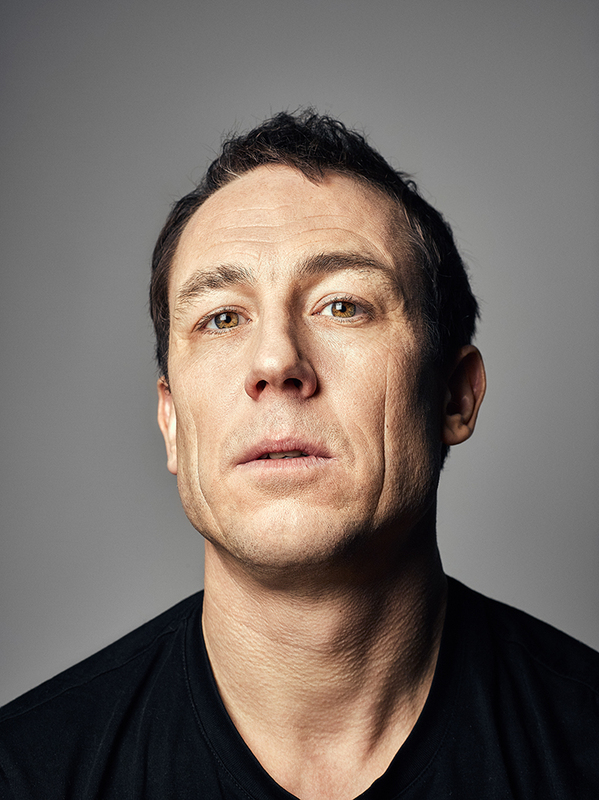 Thank you to Profoto's Ailish Cook for interviewing me about my portraiture, recent projects and awards. I’ll be speaking for Profoto at the upcoming Photography Show in Birmingham from 16th - 19th March 2019. Read the full interview on Profoto’s Website, transcript also below. (The Guardian Interview) Rory Lewis's best photograph: David Cameron looks back without regret. Thank you to the Guardian’s Tim Jonze interviewing me for the Best Shot Column about my recent portrait sitting with former Prime Minister David Cameron. Link to the article, transcript also below. Thank you to Paddy Shennan at the Liverpool Echo for running a feature on my recent work in Los Angeles, London and New York. Liverpool is still my home and its wonderful to share my latest work with the City. The article features my work with Sir Patrick Stewart, Natalie Dormer, William Shatner, James Purefoy and Stephen Graham transcript below. Thank you to Louise Carey, Features Editor of Practical Photography Magazine publishing a feature on my Portraitist Exhibition. I was delighted to speak about several of the celebrity portrait sittings, my techniques and style. Thank you to Sarah Roberts interviewing me for The British Journal of Photography, we spoke about my recent projects and winning The Portrait of Britain. See the full interview transcript below. I was delighted to teach a Portrait Masterclass at the National Portrait Gallery in London. The third time the gallery has invited me to work with them, and it is a real treat to use the Collection as inspiration. I had the pleasure of working with 12 delegates. No stranger to the gallery I’m always popping my head through the door, to gorge upon the feast of art and intrigue. Over the years seven of my portraits have been acquired by the Gallery. Two years in the making and Soldiery British Army Portraits opened at The National Army Museum in London on 31st January 2018. It was delightful to finally hang the work in its rightful home. Sir Patrick Stewart as Captain Jean-Luc Picard is not just a powerful screen presence—his iconic turn as the leader of the starship U.S.S. Enterprise is now considered one of the most instantly recognisable TV roles in pop culture. Sir Patrick Stewart, recently sat for a portrait in New York, captured by Fine Art Portrait Photographer Rory Lewis.